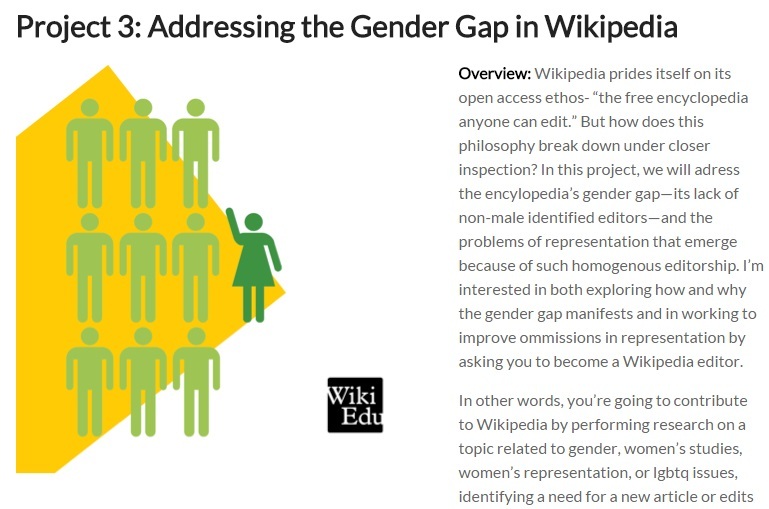 In this week’s feature, we’re highlighting a Wikipedia writing project designed to accomplish similar objectives: expand coverage and representation of articles of interest to and about women and lgbtq identities in Wikipedia. Students participating in this project gain valuable writing practice and knowledge by participating in a productive writing community, learn more about how cultural politics influence information access, and finally, improve the encyclopedia by expanding its representation of marginalized subjects. In attempting to describe this kind of active writing participation within digital spaces, I also want to create a space for theorizing what I call critical digital praxis: a model for making writing interventions in public digital cultures in order to both better understand the writing activities of those cultures and make meaningful impressions with/in them. I invoke praxis in the tradition of Paulo Freire and Hannah Arendt, to indicate a socially meaningful and rhetorically conscious method of active response to and within actual social cultures, one that bases such action on careful reflection of the ways in which writing mediates social realities and hierarchies. Praxis is the understanding and enacted practice of writing to effect social action, to establish relationships, to construct our selves and others in the world. It is what makes us human, and what makes us capable of making responsible, critical and reflective meaning in our daily lives. In coming to a new understanding of the cultural politics of representation in Wikipedia, students engage in critical digital praxis to become more capable citizens of our digital world. 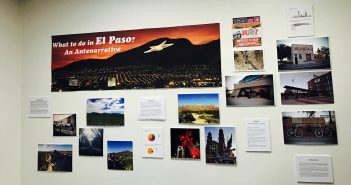 The project was designed by Matthew Vetter and Sarah Einstein as part of a junior level, themed composition course, “Women and Writing,” taught at Ohio University in the Spring of 2015. Together, we taught 3 sections of “Women in Writing: Women Writing in Digital Spaces” and were able to collaboratively design and support each other with curriculum development and teaching activities. Working together also meant that we could make a major impact on Wikipedia. Between the 3 classes, over 54 students worked on developing and creating new articles that would improve representation of women’s and lgbtq topics. In some cases, students worked on more than one article to meet project goals. With this many students, we were able to identify a large swathe of articles that needed attention and development in Wikipedia, and in the process, to help improve the encyclopedia’s diversity of coverage. But how do you identify something that is missing? In Wikipedia, the gender gap is often most visible in the fact that many articles that women or lgbtq readers would be interested in are under-developed or missing. For student, however, these articles can be tough to find – especially considering that Wikipedia’s English edition contains over 4.5 million articles. So where to start? In this assignment, we started by exploring and working with particular Wikiprojects devoted to our content areas (women’s issues, lgbtq, gender, sexuality). 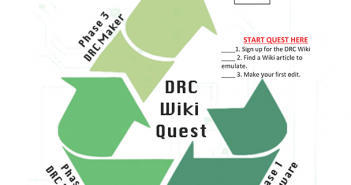 Wikiprojects are groups of editors interested in collaboratively developing the encyclopedia within a particular topic area. These groups improve coverage by developing and maintaining a broad range of resources for interested participants. What was especially useful for our project, however, were the lists of “open tasks” or articles that needed to be created or developed. In examining such lists, students could immediately locate a gap in coverage and make a proposal to improve or create an article. Explore Wikiprojects looking for gaps of representation and possible articles to develop or create. Write Proposals detailing the articles they want to work on, what types of sources they will use, and what content they will add. Perform research in both the open web and library databases for possible sources on their topic. 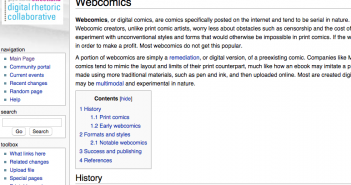 Begin drafting articles in their Sandboxes (Wikipedia spaces for developmental editing). Ask Wikipedia Edu Online Volunteer for feedback on drafts. Revise articles according to feedback. Publish article edits in Wikipedia mainspace and celebrate. As of April 8, this project is currently underway. Stay tuned for a “Part 2” post in the next few weeks. This upcoming post will feature student work and instructor reflections on the project.